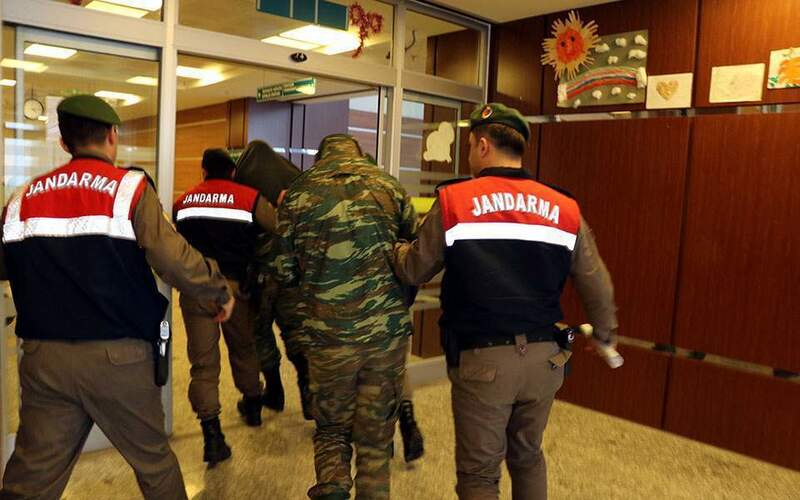 A Turkish court rejected on Thursday an objection submitted by the lawyers of the two Greek soldiers who have been detained in Edirne's prison against a decision to keep them in custody, according to Haberturk newspaper. The misdemeanor court cited an earlier ruling which said the two soldiers cannot be released because they have no permanent residence in Turkey and they might flee. The decision means the servicemen will remain in prison until a trial date has been set by the judge. The soldiers – a lieutenant and a sergeant – where arrested earlier this month when they accidentally strayed into Turkish territory during a patrol at the country's northeastern border.